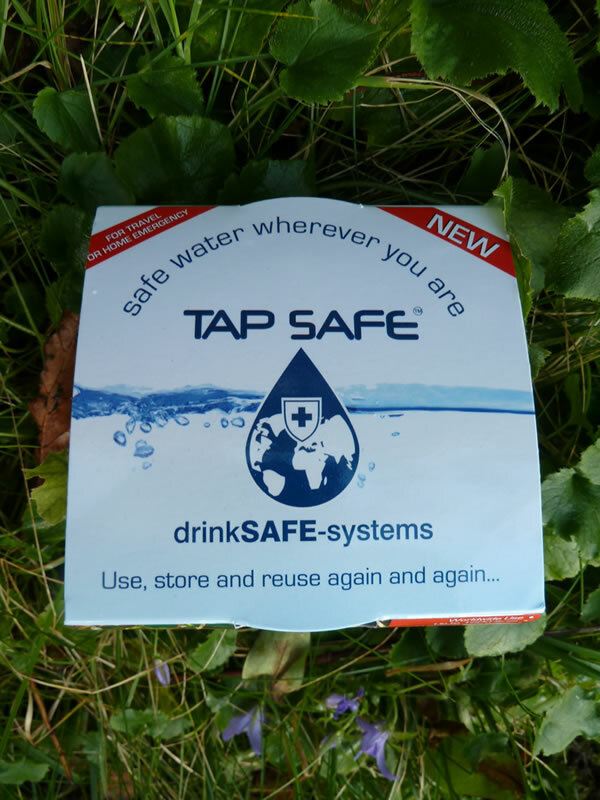 drinkSAFE multi stage media filters remove threat from all pathogen including virus phage , anthrax, e-coli , cryptosporidium and reduce chemicals that might be in water including fluoride and chlorine, trace metals, PCBS, Radon , pesticides incl atrazine and simazine and sediment. 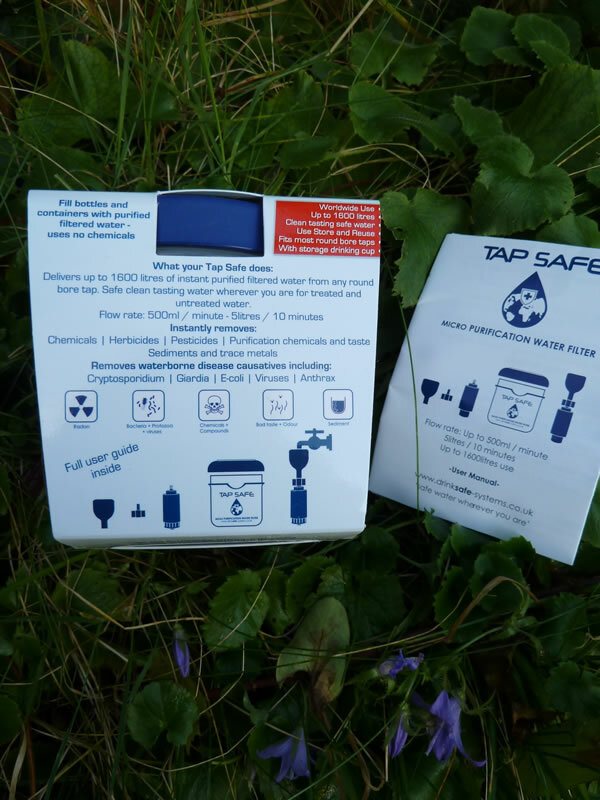 Note: Our filter technology uses activated carbon and other biosafe media for for triple action effectiveness - hollow fibre technologies in other systems will not remove chemicals and compounds and associated taste from untreated or treated water including chlorine or fluoride. 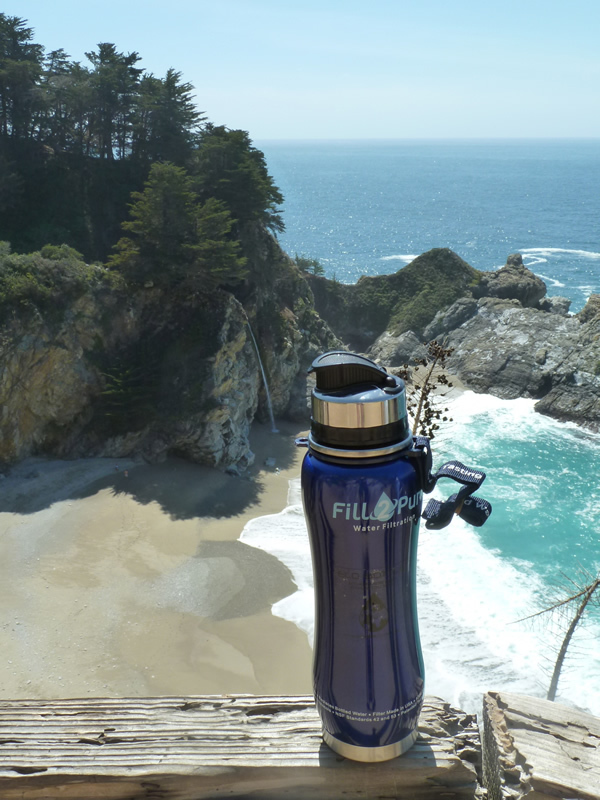 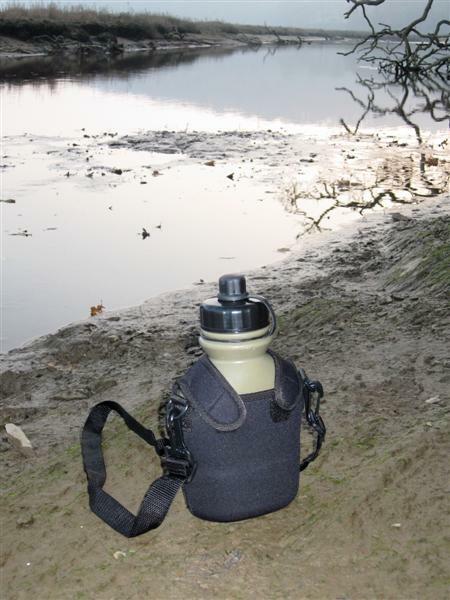 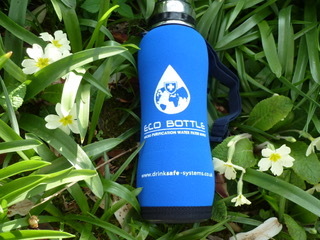 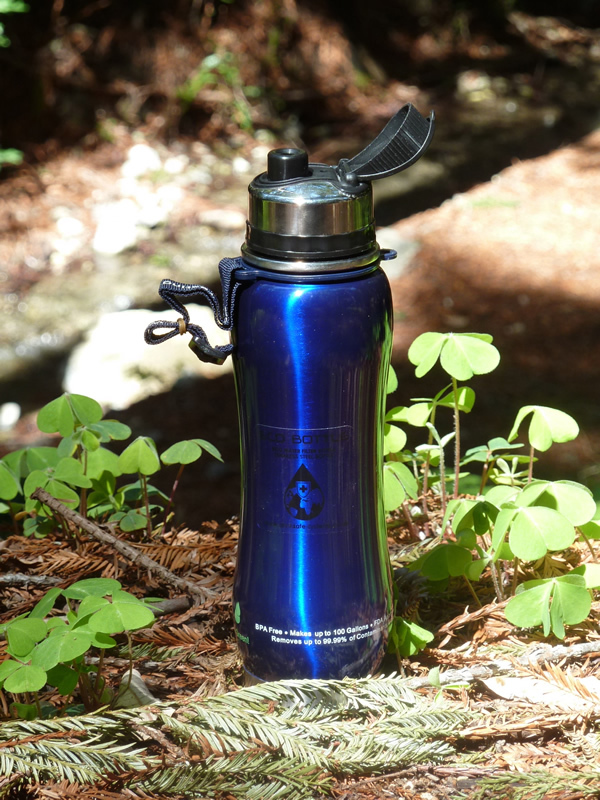 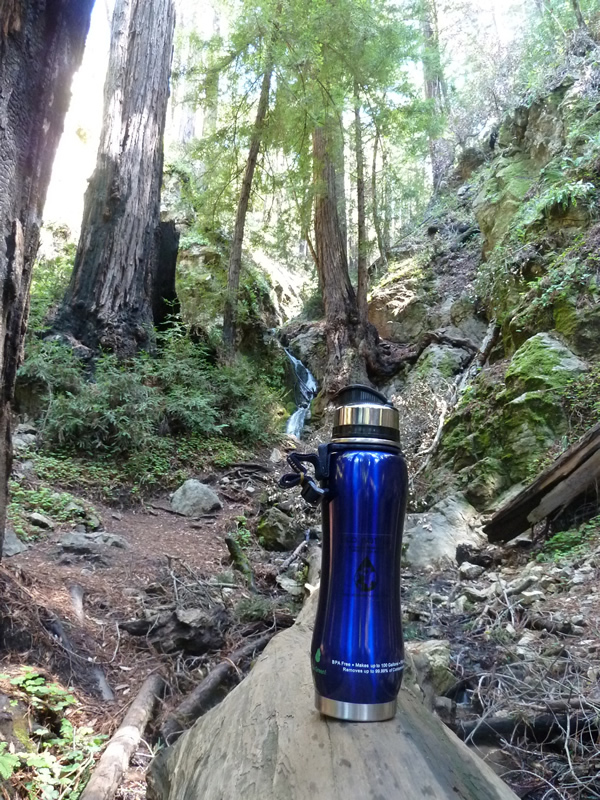 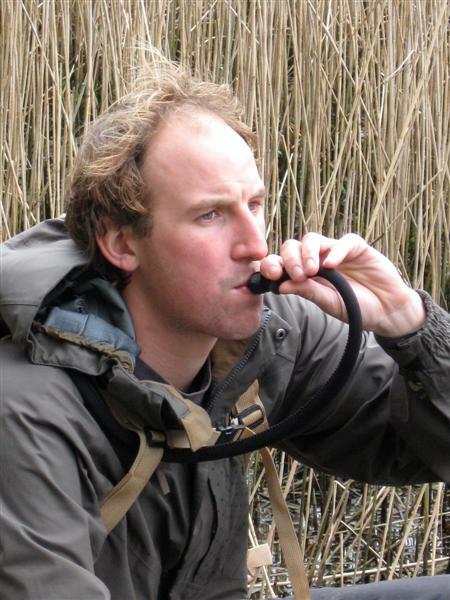 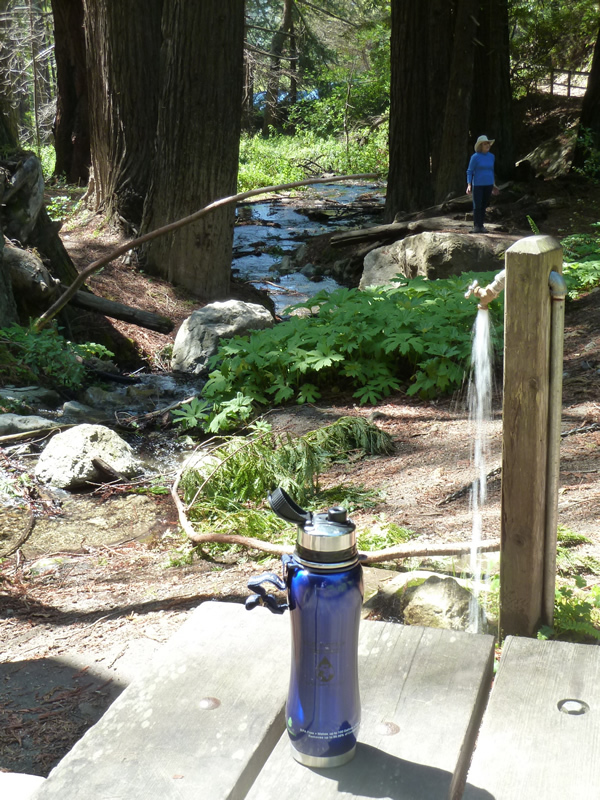 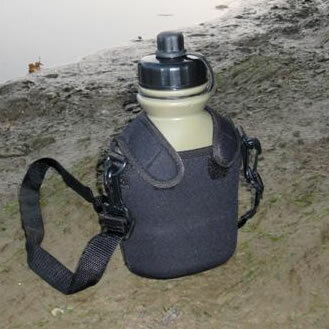 Gravity Water Filters are lightweight, durable, proven and robust. 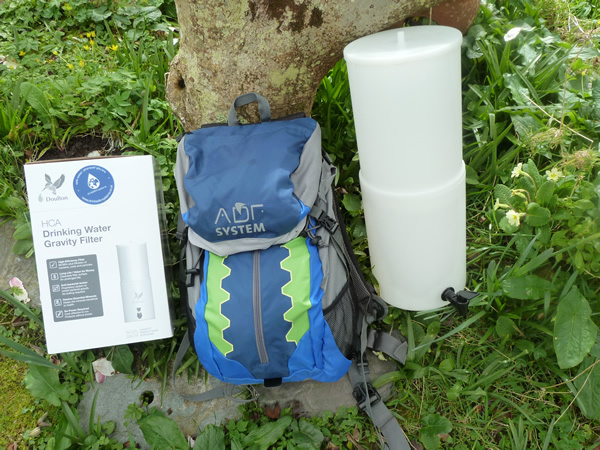 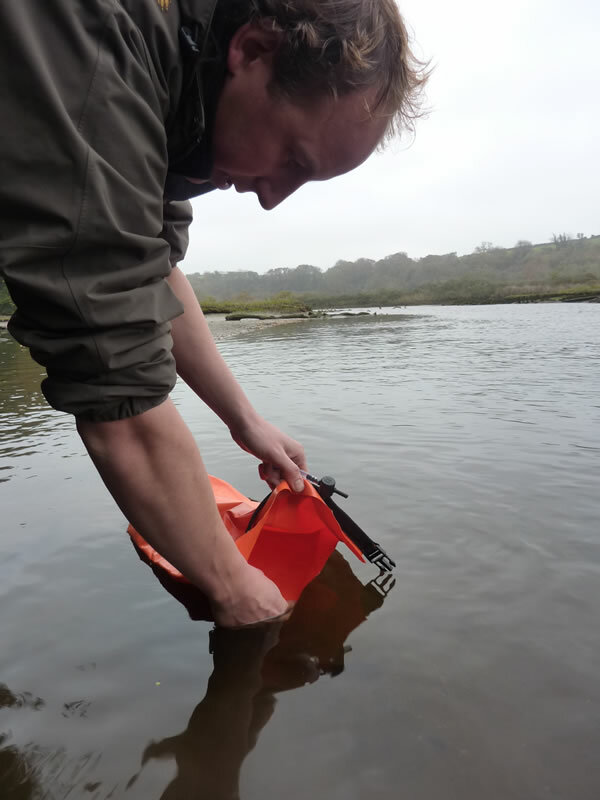 Portable collapsible systems for your retreat - wherever you are …… Each system supplied in carton - x2 sleeved water bucket units with x2 filter cartridges and lever tap system. 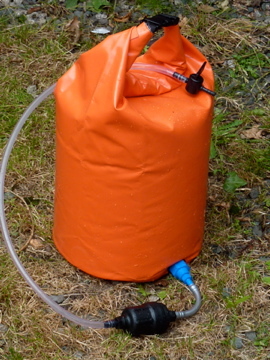 1600 litres use. 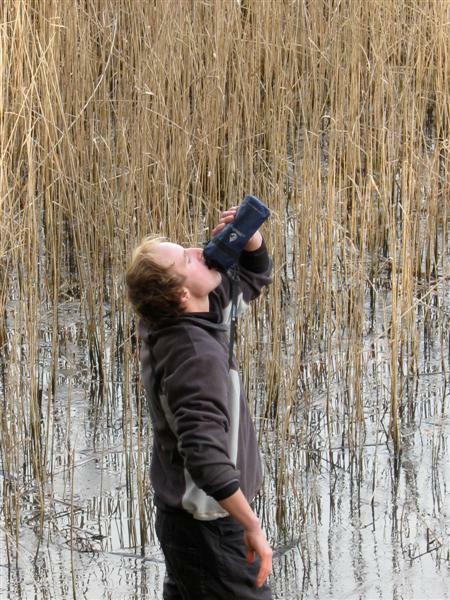 x1 cannister cleverly fits inside another saving space (see 1st Picture). 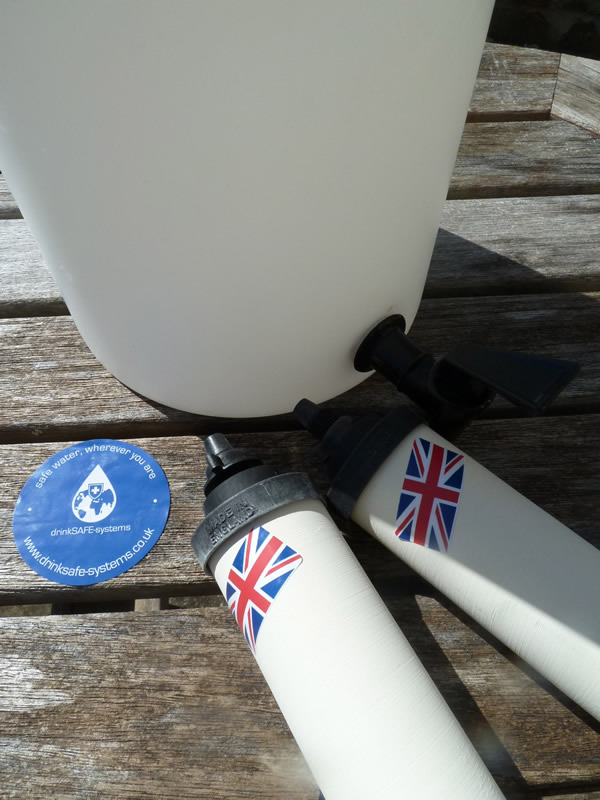 Used by Disaster Emergency Services throughout the world The upper container is filled with untreated or treated water which then filters down into the lower container, through a Doulton® ceramic filter candle. 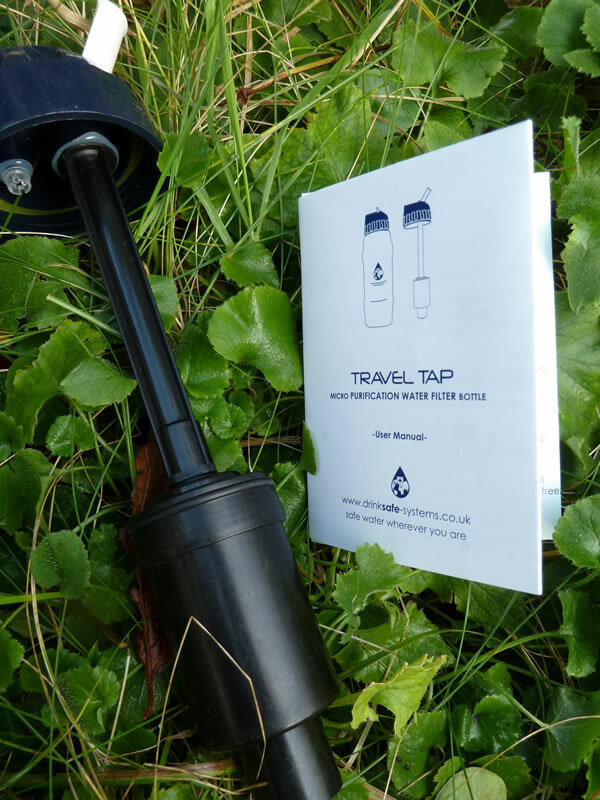 Ideal for your woodland retreat/hut outposts,mobile campsites , Holiday Home , campervan, canal barge or boat. 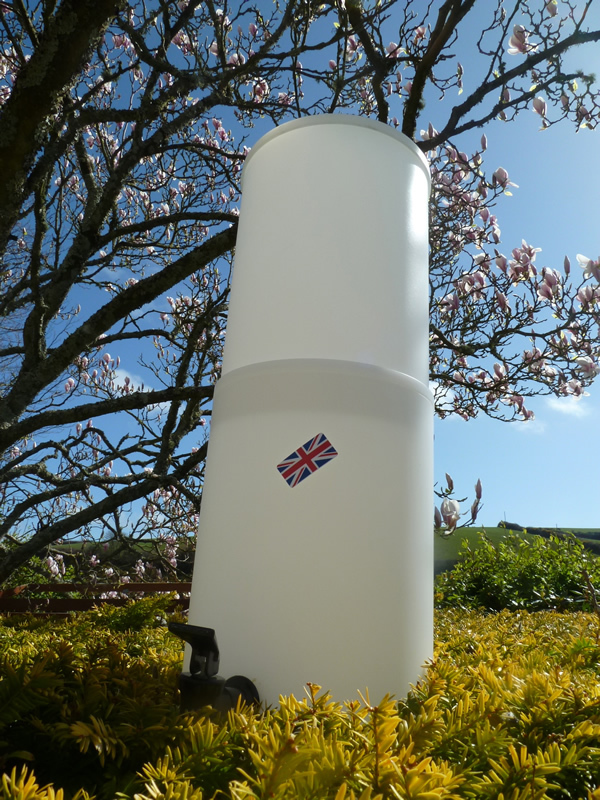 Collapsible Gravity Tank Polypropylene HCA or ‘Posh’ ‘All Stainless’ Steel. 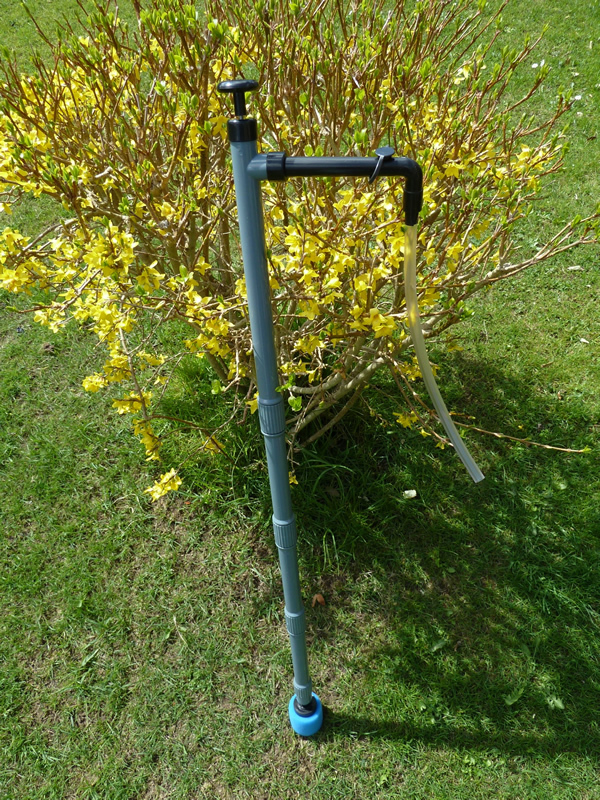 Compact, portable and simple to operate, requiring no external plumbing or power supply. 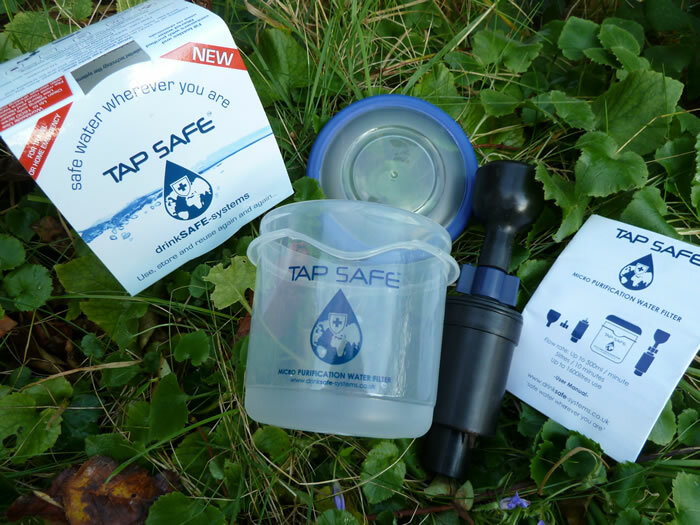 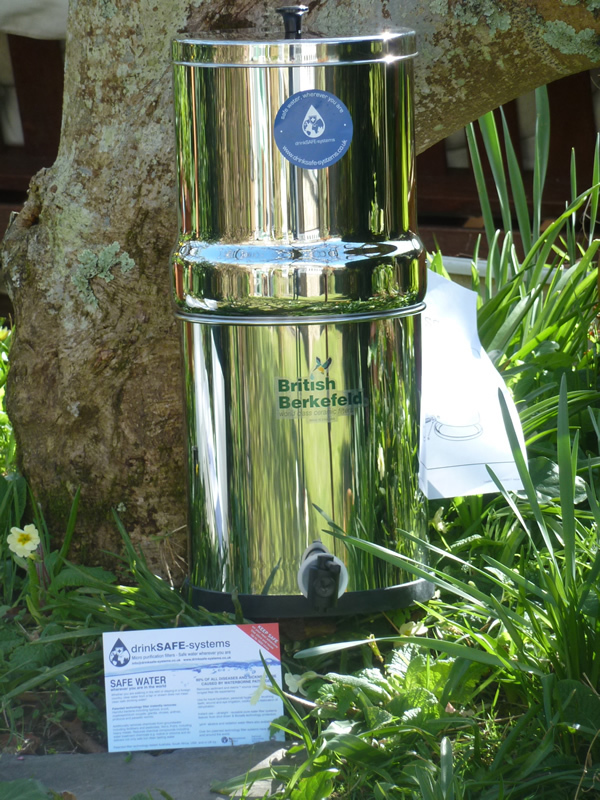 Simply fill with 5 litres (5 kgs) of water and leave overnight or for a few hours –dispense safe water from the bottom chamber tap. 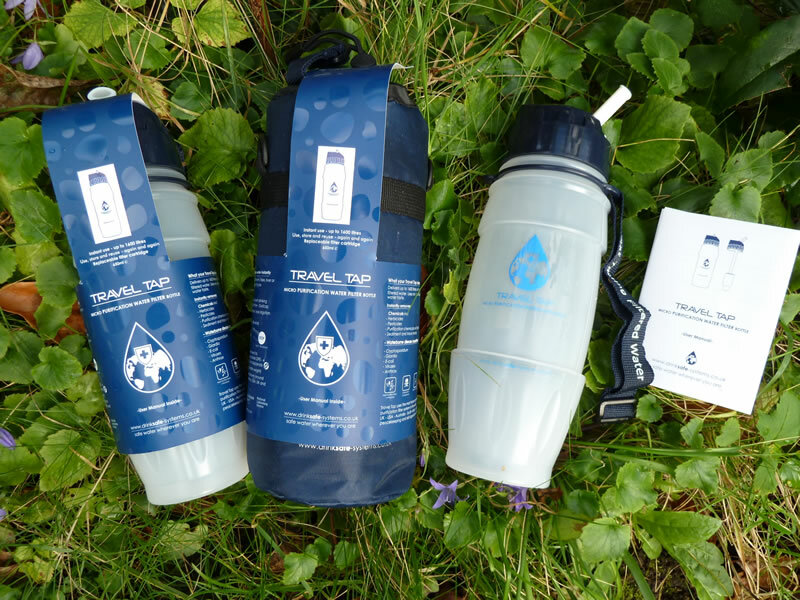 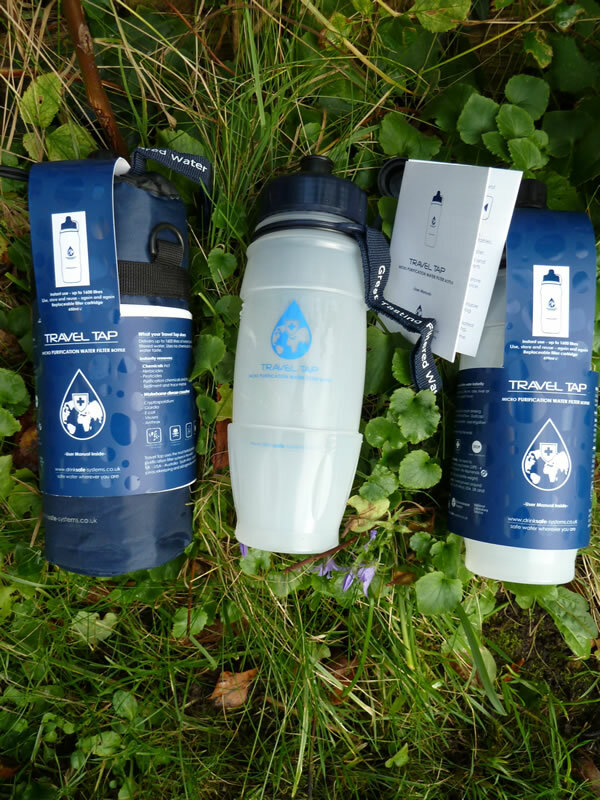 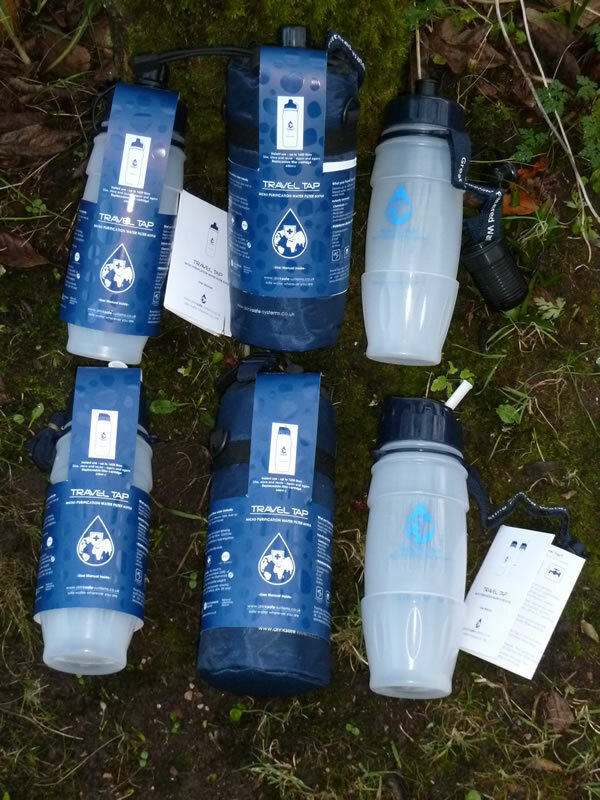 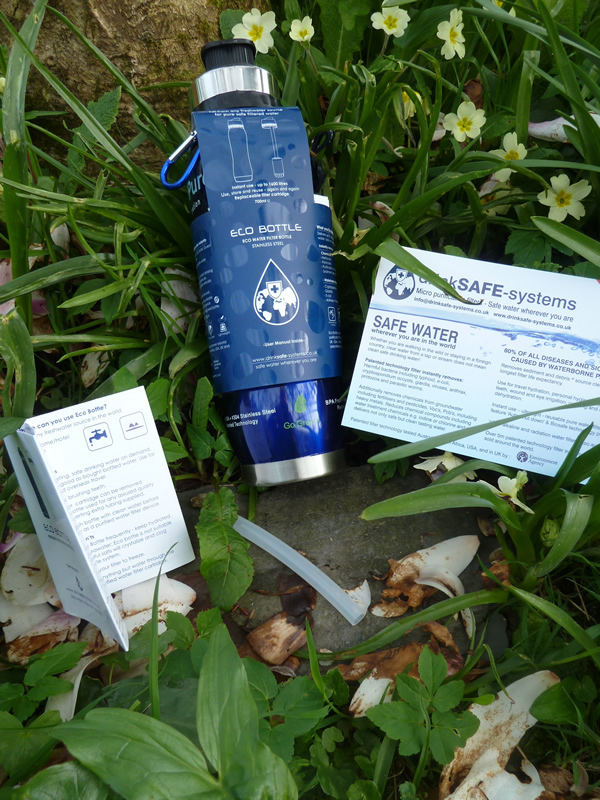 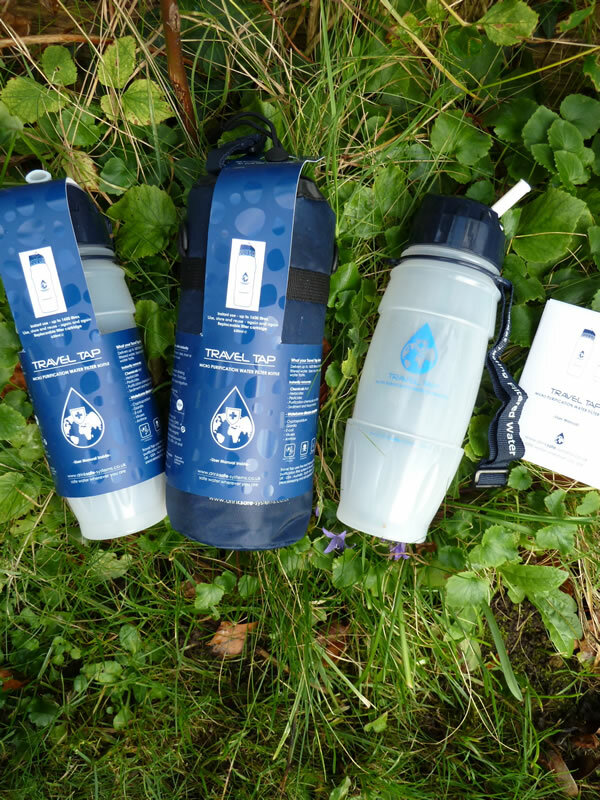 Each kit comes complete with x2 Ceramic filter candles to supply clean safe water – wherever you are. 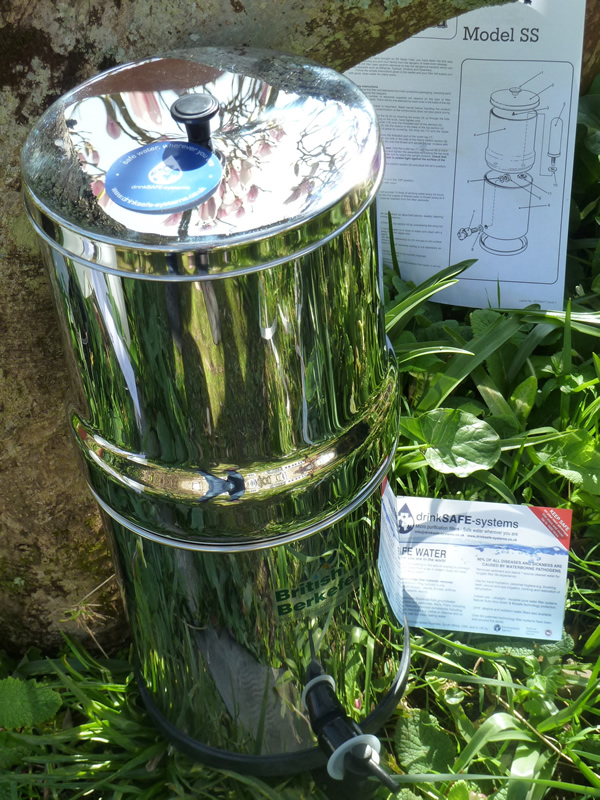 Up to 1600 litres use and the filters are field serviceable with a light scrub to improve flow rate when diminishing if sediment in water. 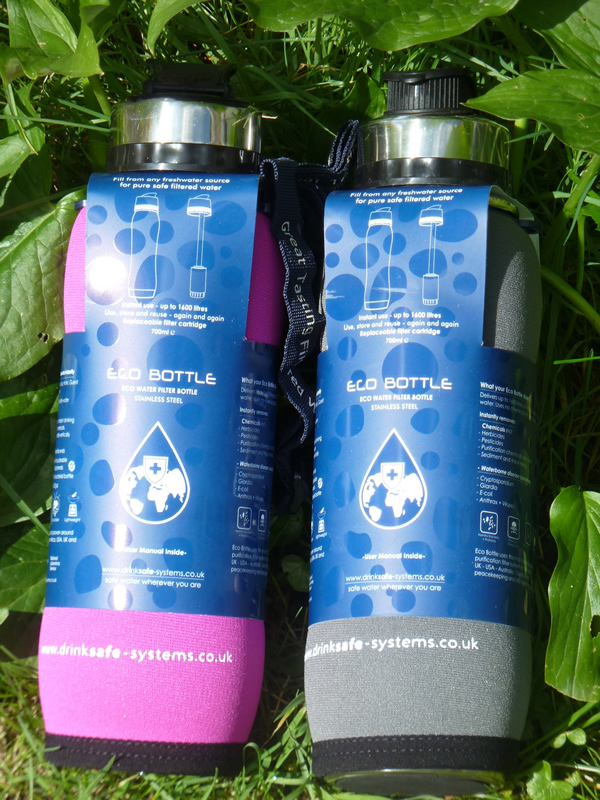 Over 24 hours can deliver 40 litres water without effort time and time again. 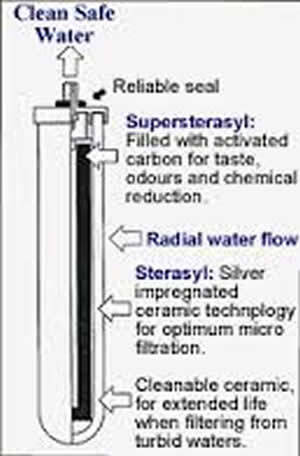 To clean or maintain, an added purification such as steritab / chlor dioxide or Milton solution can be used and the filter can be easily scrubbed to maintain efficacy. 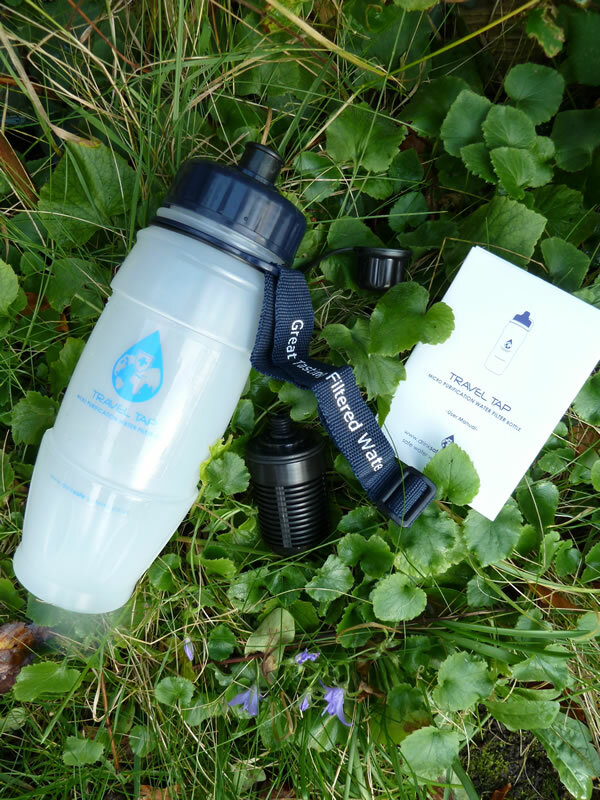 Proven effectiveness at eliminating waterborne diseases, such as cholera and typhoid, sediment and chemicals and compounds. 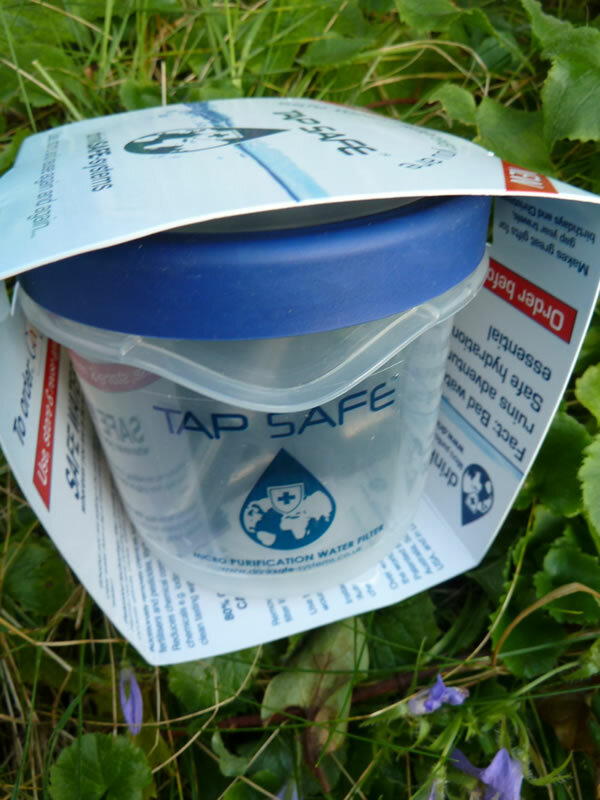 Other pathogenic removal includes E –Coli Salmonella typhi (Typhoid) Cryptosporidium , Giardia and Anthrax. 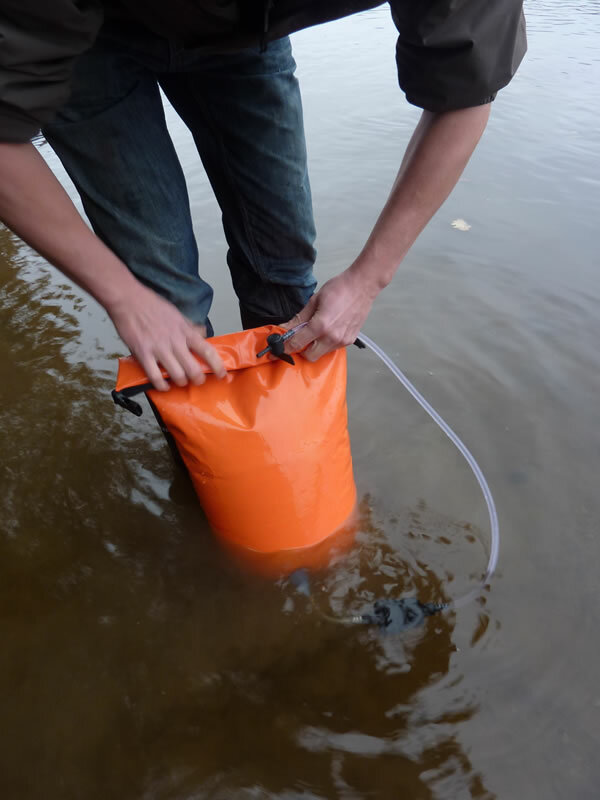 Packed inner bucket fits inside outer bucket for minimum space and the void space can be usefully filled with virtually anything, e.g. 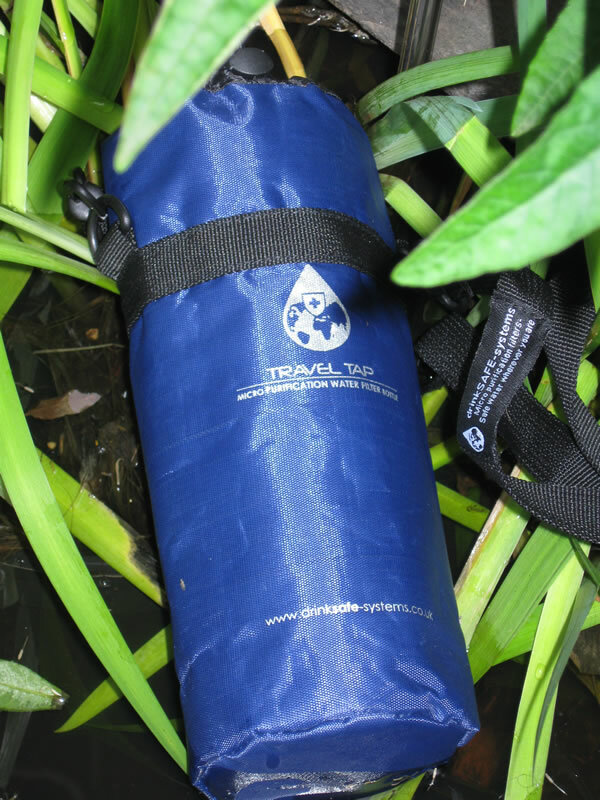 packed food or clothing , so this unit can easily be put in baggage without taking up wasted space. 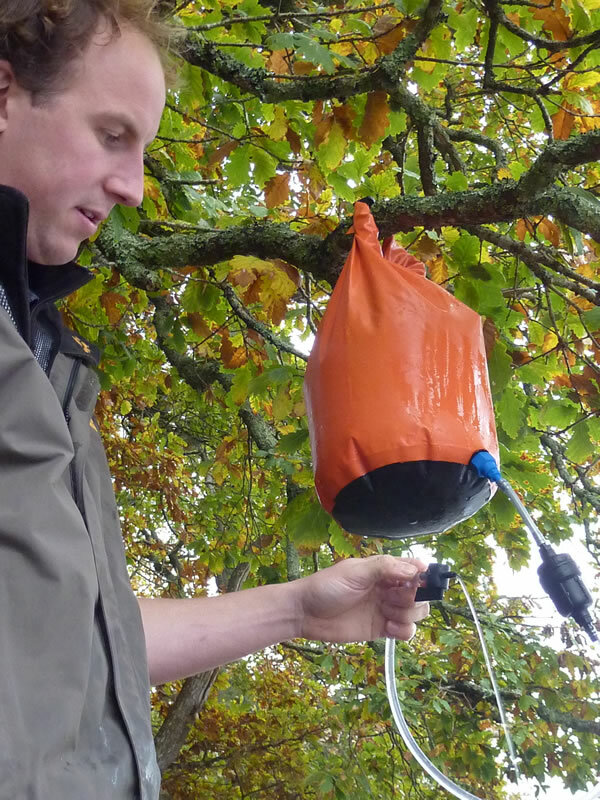 Here’s the great part Weight of Porta Camp HCA weighs in at just 1.75 kg! 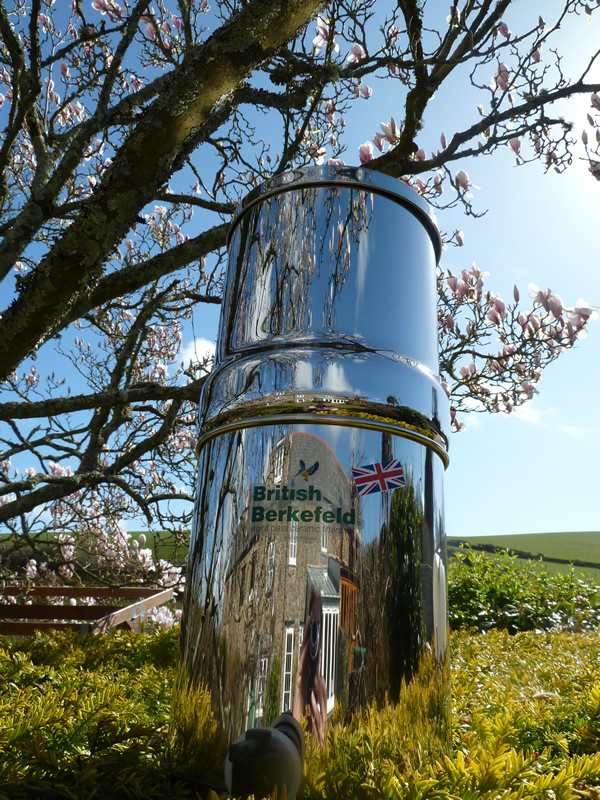 The Stainless version is a mere 3.25 kg. 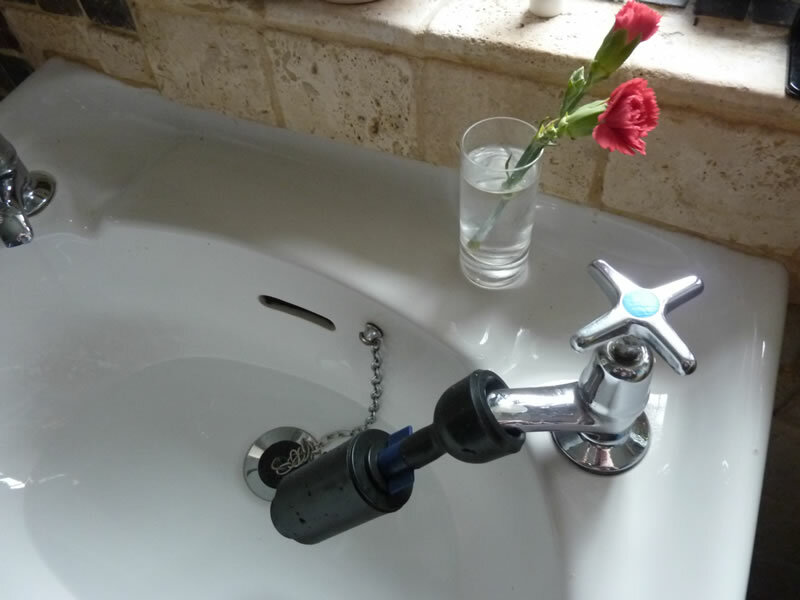 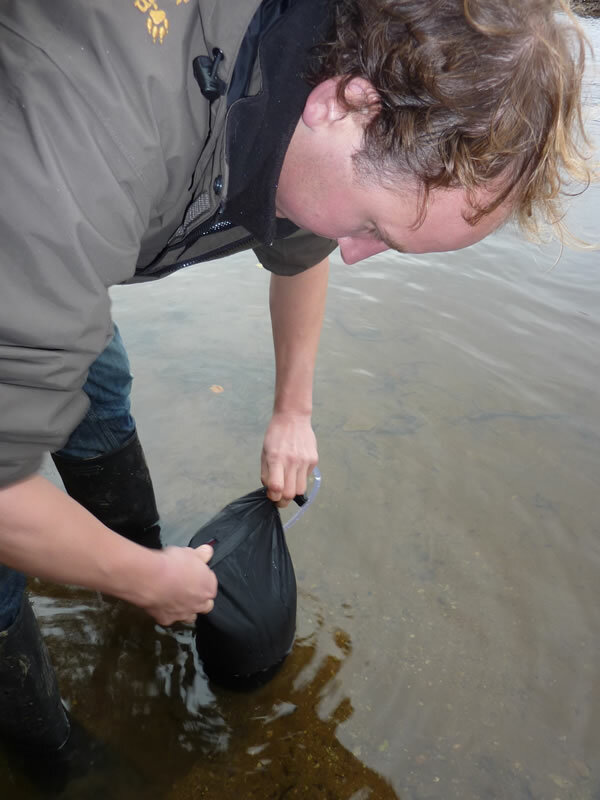 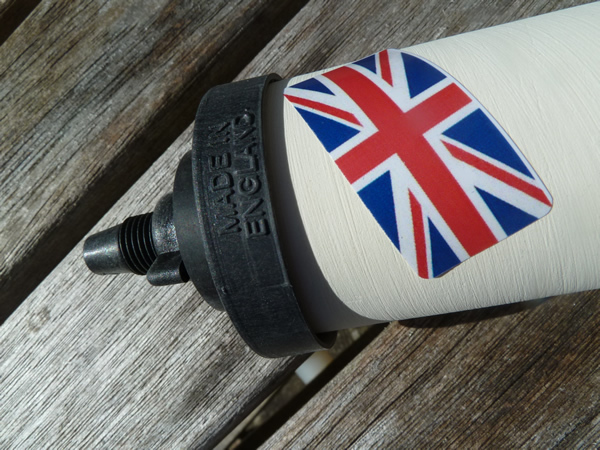 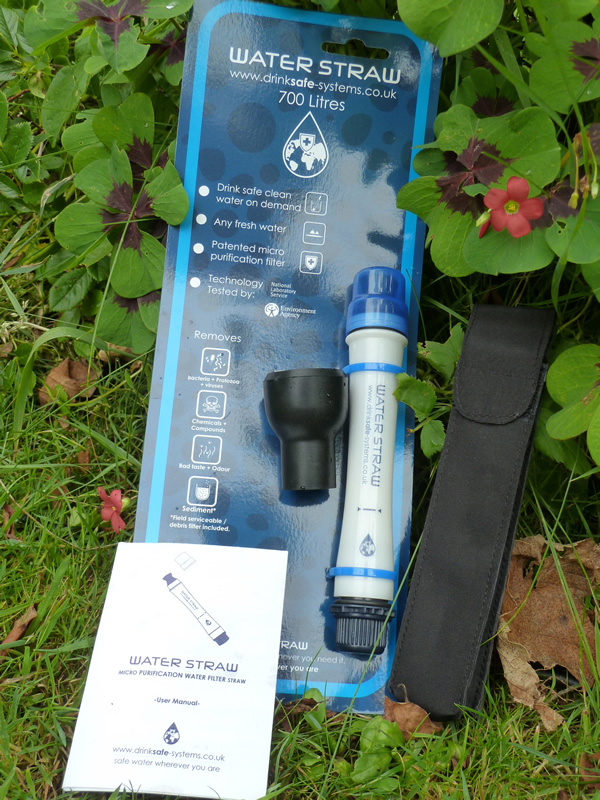 Blow out excess water when finished - Close port for watertight seal -2014 version includes tap adaptor for backflushing and black nylon storage pouch. 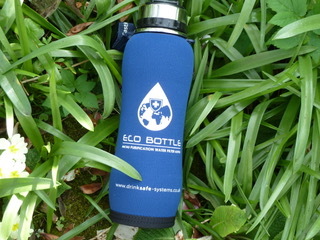 Supplied in watertight drink cup. 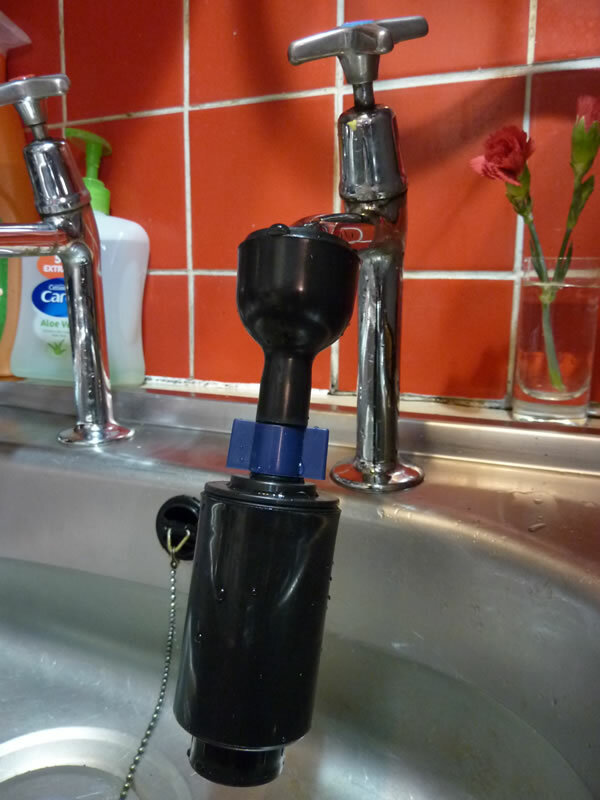 Internal filter can be unscrewed and replaced. 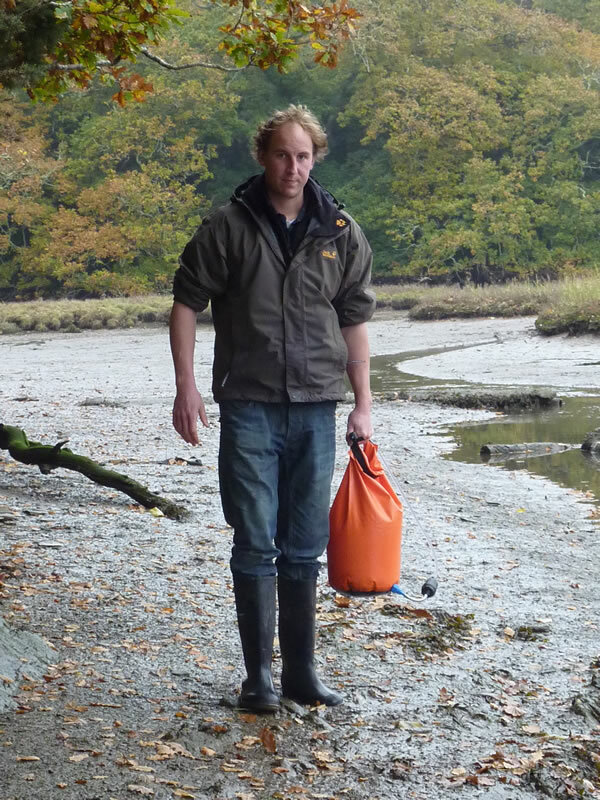 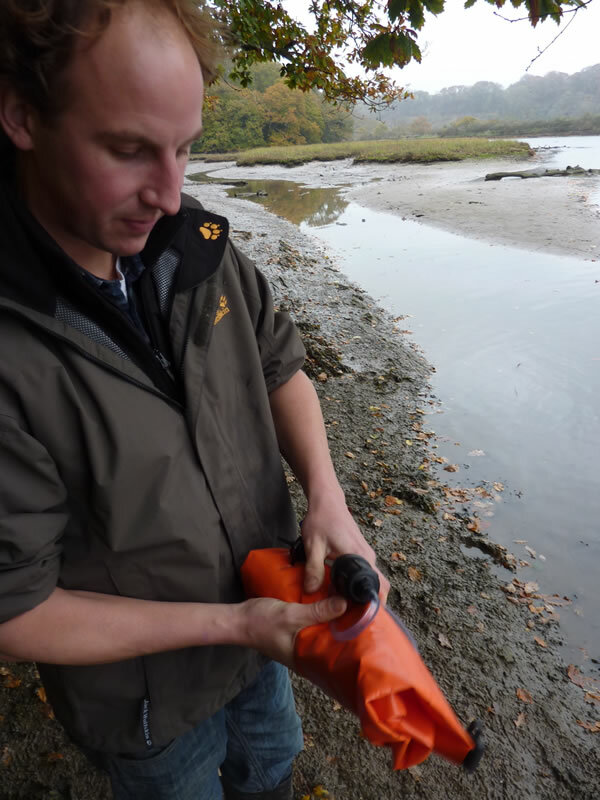 Integral field serviceable foam sediment / debris trap. 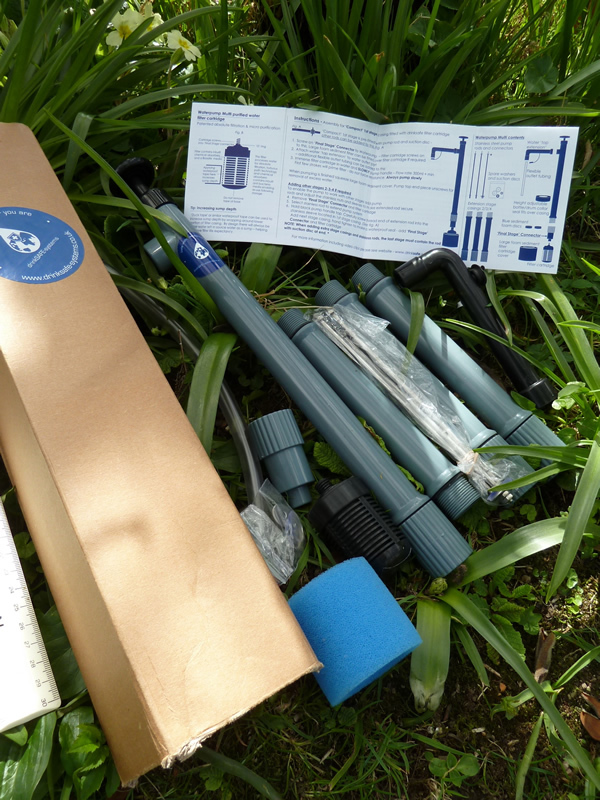 Kit comprises : Watertight storage drink cup, x2 sets in situ connectors fits 6-7.5mm hydration tubing, x2 pieces converta tubing , Tap /backflush adaptor x1 roll of PTFE connector sealing tape and 'Anti kink' device for use as gravity feed system from hydration reservoir. 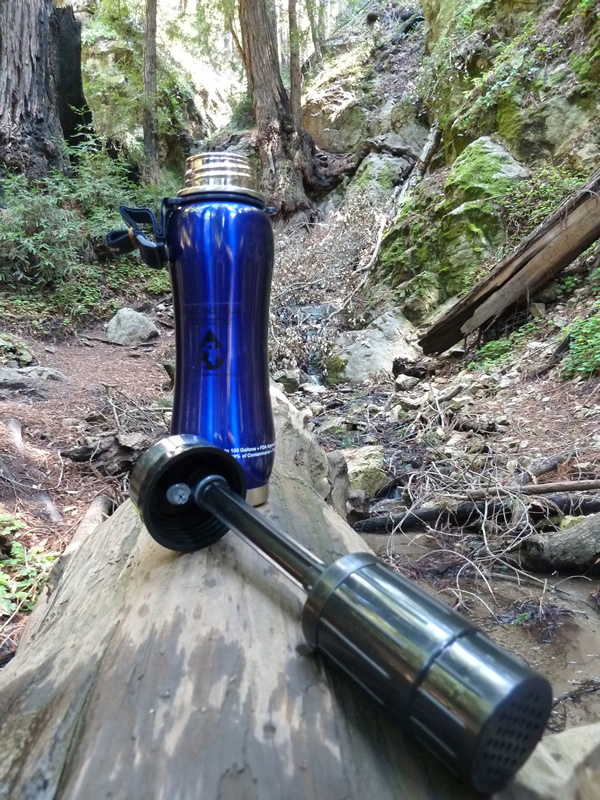 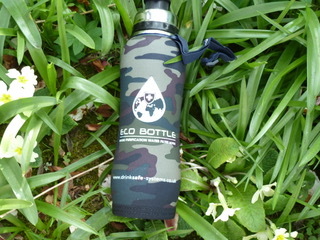 Unlike hard bottles that rely on mouth suction Travel Tap flexible bottle allows faster flow rate and multi function use.
' 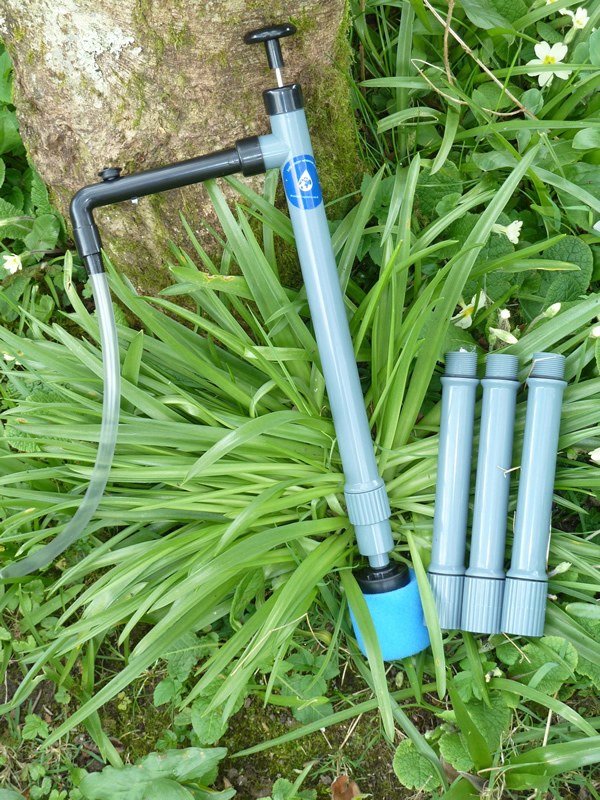 Aquaguard '3 in 1' PLUS + supplied with Quick fit/ disconnect 1.0 second system 100% watertight for instant removal of cartridge if not required and reconnection of hydration tubing.